TNbusinessbrokers (TNbb) has been dedicated to providing professional and confidential services to business owners and business buyers for more than fifteen years. We are certified by the Business Broker Training Center (BBTC) and supported by an extensive network of experienced providers and experts to meet your needs. 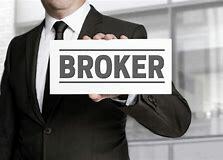 We have established ourselves as a respected business brokerage firm assisting sellers and buyers to transfer businesses that have sold for as little as twenty-five thousand dollars to companies which have sold for millions of dollars. We are located in Knoxville, TN and service all of East Tennessee, north including the Tri Cities area, south to Chattanooga, TN, west to Crossville, TN., east to North Carolina and all areas in-between. If we do not cover your area we will gladly recommend a professional affiliate in your geographical area. Listing and marketing business for sale. Assisting in the financing of existing businesses for our buyers. BS degree in Science and Health from the Defiance College (Ohio). Six years as C.O.O. and V.P. of National Franchise Sales and Development for Hickory Hams located in Atlanta, GA. Company licensed to sell franchises in all fifty states in the United States. Active in business ownership in Knoxville, TN., Tampa, Fl., Atlanta, GA. and Greensboro/Winston Salem NC. Partner in Wendy’s, D’Lites of America and Steak-n-Shake franchises. Partner in multiple full service non franchised restaurants . Managing partner/owner at (TNbb) 2004 to present.